Billions of Muslims celebrated Eid ul-Fitr, a festival celebrated to bolster peace and brotherhood marking the end of month-long Ramzan fasts on Monday. However, the revelries in India were dampened by the recent spurt in instances of mob violence targeting Muslims. 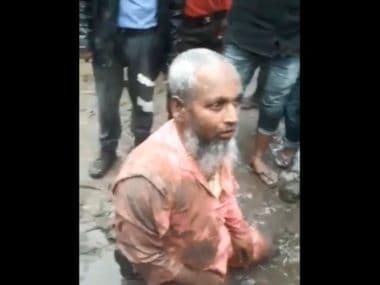 Within last week, three prominent cases of mob lynching made headlines, and the victims were all from the Muslim community, with the last one being the killing of a 16-year-old boy on a train to Delhi. What could have been a minor spate over a train berth, turned into a brutish incident of mob lynching as religious identity of the victim fuelled stereotypical misconception. 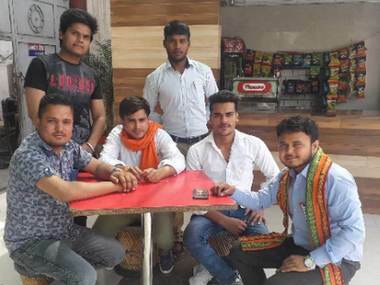 Three Muslim brothers, travelling on a train, had an altercation with Hindu men and the ensuing fight took communal colour within seconds with the mob accusing the brothers of carrying beef in their food packets. 16-year-old Junaid, going home for Eid celebrations became the victim of the societal biases and mob rage, and it will be a black Eid for his family and village. Standing in solidarity, cutting across religious lines, people on social media have pitched for a unique campaign to wear a black band on their arms in protest of the government's inability to stop such incidents. The campaign, which was started on Saturday, picked up momentum by Sunday as thousands of people from various religions came out in support of the peaceful protest, according to IBTimes. People shared their pictures with black arm bands and hashtags #StopKillingMuslims, #StopMobLynchings and #EidWithBlackBands elicited much response on Twitter. The call for protest was reciprocated by people across religious lines. 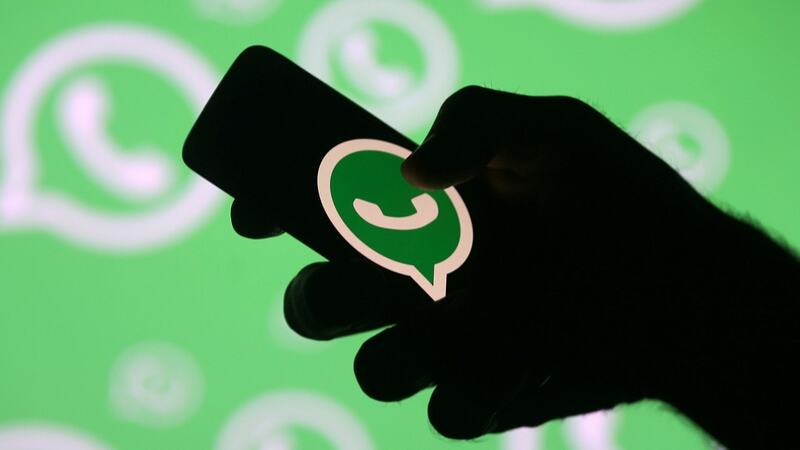 "It is not a religious point alone, but more so of justice and unity as even those who follow religion and those who don't follow it are going to wear the black bands in solidarity on Monday," Rajeev Yadav, a Hindu, told The Times of India. Large number of clerics, socialists, and journalists have also expressed their support for the campaign. Leaders of prominent Muslim bodies from Lucknow also joined hands and appealed to Muslims and Hindus to take part in the protest to build momentum. 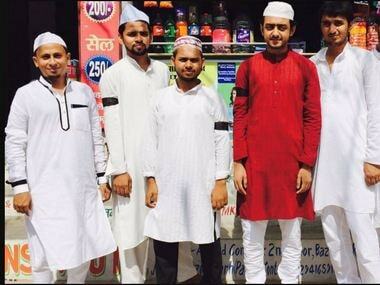 "We, the Muslims of India, call for wearing black bands on Eid in protest against failure of the Government of India to protect Muslims against uncalled for attacks," another report in The Times of India quoted the Zakat Foundation. Meanwhile, in Junaid's village Khandawali in Ballabhgarh, Haryana, people will join in the protest as the celebrations are encumbered by grief. "We are not hitting the streets or chanting slogans, but we want the government to know that we are unhappy, angry. Our Eid has been shrouded in darkness," Asaduddin Khan, a Khandawali resident told The Telegraph. "There will only be silence of mourning this Eid," another resident from the village told the newspaper. 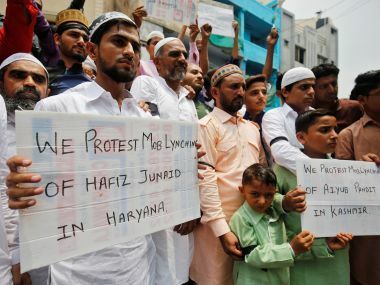 Another report in The Times of India spoke about the anguish of the Muslim community in Mewat, Alwar and Bharatpur districts over Junaid's death and the increasing incidences of ostracising the Muslim community. The community, present in sizable numbers in these cities, complains that they have been simply branded cow slaughterers. Alwar district was earlier in news about the lynching of Pehlu Khan, who was lynched by the mob over the suspicion of smuggling cows for slaughter. Ironically, the victim's kin were later acquited of cattle-smuggling charges by two courts, according to Hindustan Times. However, the Muslim community in the three districts is determined to resume the battle after Eid as well. The Times of India report states that they plan to hold protests in Delhi too. "We're making efforts to change the perception of Muslims as cow killers, but whenever Hindus see a Muslim carry food or a cow, they are labelled as cow killers or beef eaters... We intend to hold protests in Delhi till this tagging of the community ends," said Ramzan Chaudhary, Mewat-based social and political activist was quoted by the newspaper as saying.